Createspace Independent Publishing Platform, 9781460924334, 110pp. Of Hearts and Souls is a collection of free verse poetry written over the past 15 years. It is about the journey of life and the different roads we walk down on that journey. The book includes both short micro-poems for those who prefer their poetry in bite-size snacks and longer more prosaic poetry for the avid poetry reader. Topics range the spectrum of life and form a vivid mosaic of images by the end of the book. The book culminates with a poem written as a wedding present for Robin's husband. Robin A. Burrows knew she wanted to be a writer when she was in the third grade. Her class had to write a story using their spelling words and she discovered that she could create the stories that she so loved to read. Her stories could give other children moments of happiness to look forward to with eager anticipation. In high school, Robin began writing novella-length short stories about a sailor, his family and their adventures in time, space, treasure hunting and everyday life. She also discovered poetry in high school and realized that poetry could tell stories - just like her other writing. Robin set aside her writing during college to write literary essays for her classes. She graduated with a major in English and a minor in History. During this time, she also formulated ideas for several new story settings. Robin currently works for an area nonprofit organization; working on her writing in her free time during evenings and weekends. She has won several awards at area writers' conferences for both her poetry and prose, and her poems have been published in several publications. After her wedding, she will continue work on her first novel, tentatively entitled, "Kaylee Nevins and the Dragon Ring." She is also working on several picture books with her friend and artist, Tim Robbins. 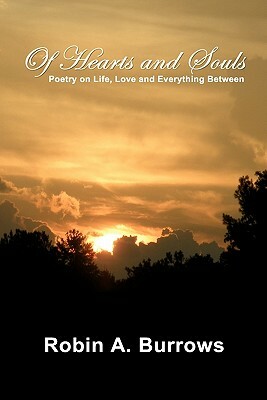 To keep up to date on news about the author and upcoming releases, please visit www.robinaburrows.com.